New to the Lobo line of products is the Lobo Deep Cover. 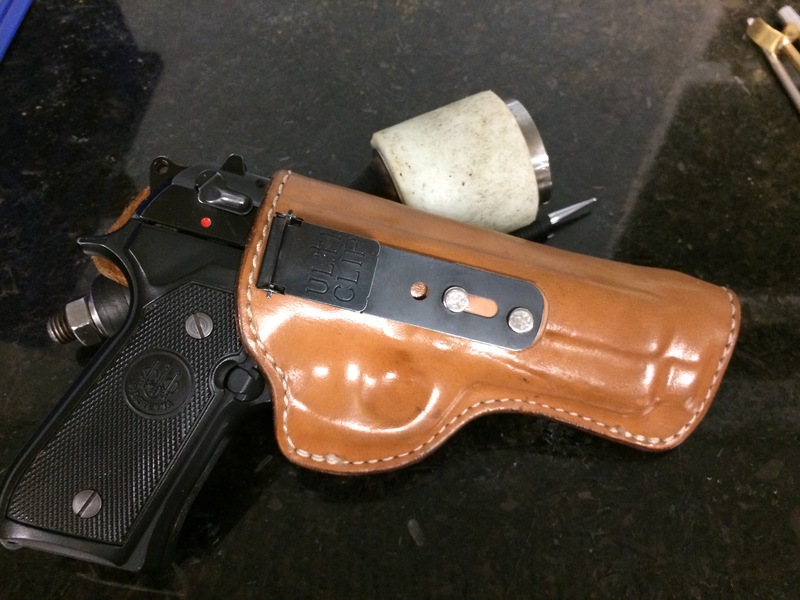 This holster has a few things that make it different from any other holster on the market. 1. Made with a two layer technique using Herman Oak leather, this gives the holster a firm body with a smooth interior to help protect the finish of your weapon. The two layers act like plywood causing the grains of the leather to go in different directions strengthening each other thus reducing stretch and helping to add rigidity to the body of the holster. This also allows us to make the holster with no hardware in contact with the frame or slide of the firearm. 2. 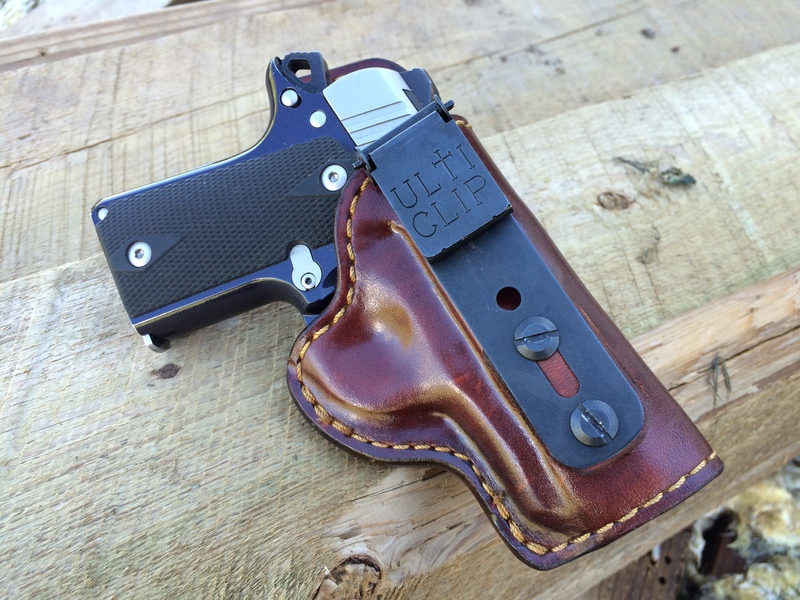 Made with a cam style clip made by Ulticlip(TM) this holster can be clipped on too, but is not limited too: strong side, off side, appendix, cowboy boots, seatbelts of vehicles, or a bag/ purse with a pocket or anything that can handle the weight of the firearm. 3. 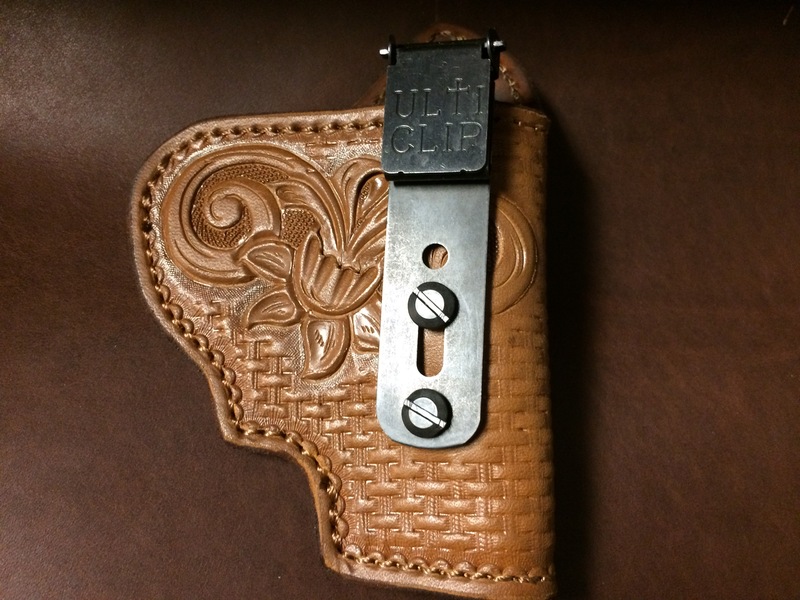 The holster is made using a spacer and screws so that the clip can be changed out when needed. 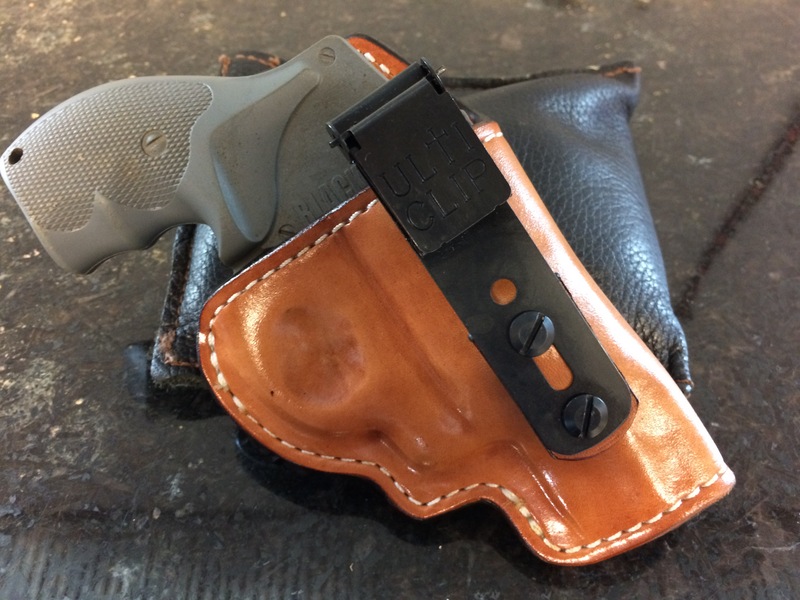 The spacer allows the cover garment to be tucked in between the clip and the holster while the clip is attached to the pants under the belt for maximum concealability. The ulticlip does not recommend attaching their clip to a belt thicker than a 1/4" inch. 4. This holster can be made for most weapons, the best configuration would be the smaller to mid size frame guns. ***When attaching the holster to anything, make sure that the gun is pointed in a safe direction. All safety precautions must be used while using a weapon in any holster. Safety is the sole responsibility of the user and is beyond the control of lobo gun leathers and any of its officers or employees.